Published at 01/06/2017 21:05:01 from Argentina, 16914 visits. I sell my bike Honda CB900F Bol d`Or. Classic motorcycle. 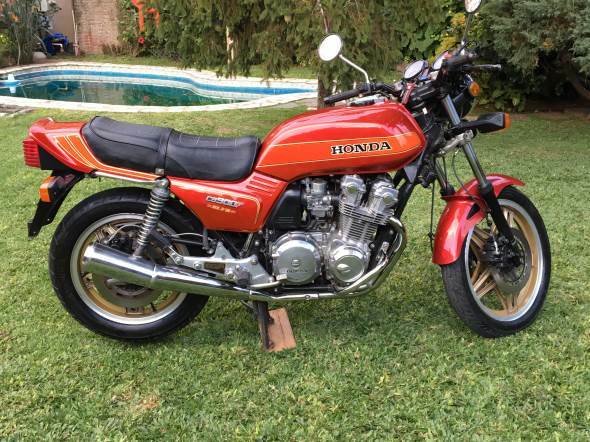 Very original, hard to find a classic bike in similar condition. Papers a day, ready to transfer. It is in excellent condition. The engine was never opened. It has new battery. Tuning Carburetors freshly made with original spare parts. Freshly brewed with motul and original filter oil oil change. Be replaced by progressive Springs German wilbers fork springs. The originals were vanquished. It is transferred at the time of purchase. I do not accept trade-ins. The bike is located in San Isidro.